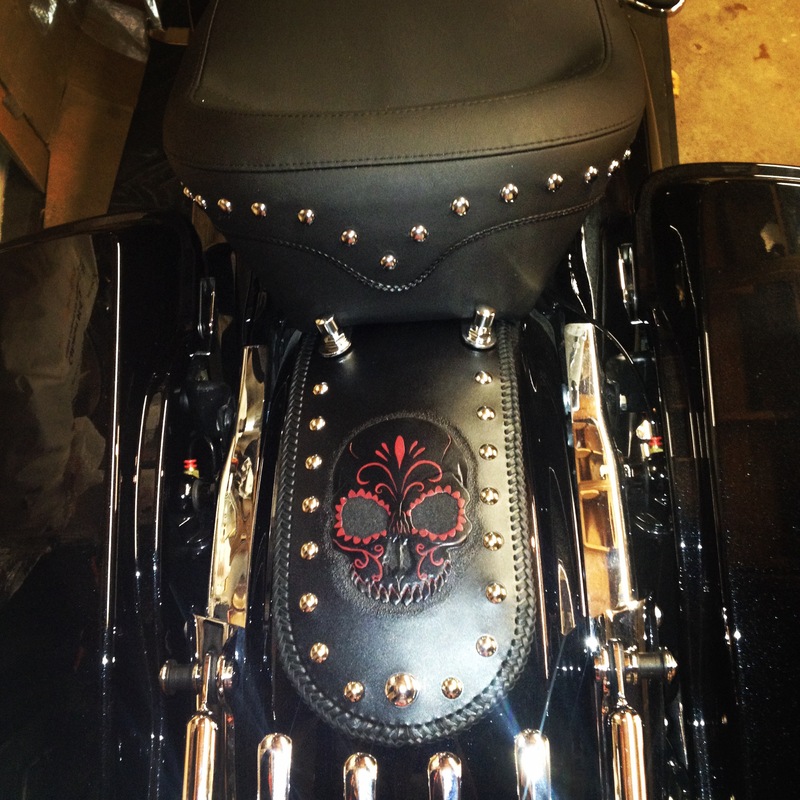 Custom Leather Rear Fender Bib for a 2013 Harley StreetGlide was delivered and installed on the client’s bike today. 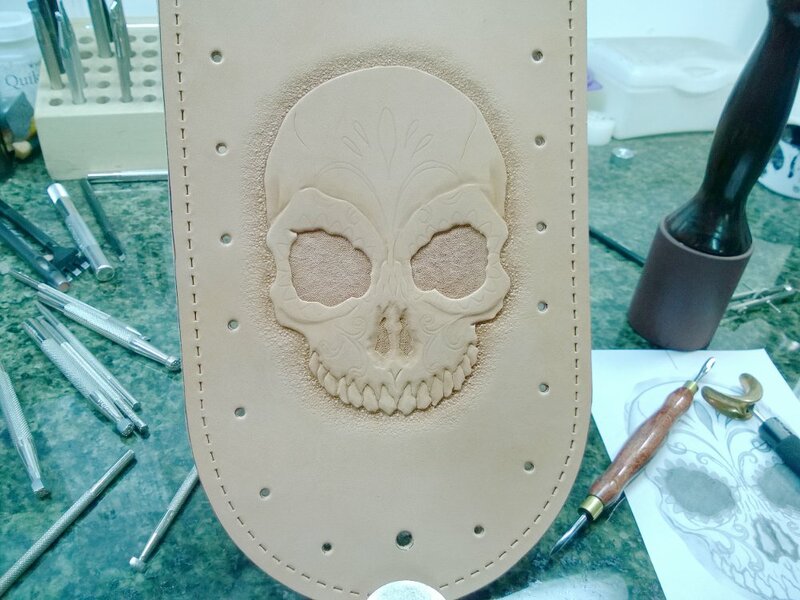 Hand tooled Sugar Skull on Hermann Oak 6oz leather, black kangaroo triple loop edge lacing, 12mm chrome spots and Khorne Red highlights hand painted to make it pop. Here is a pic of the installed bib and the raw tooling before it was colored.